This blog is all about horses, with the occasional foray into tall cat and dog tales. I have five horses (not quite sure how that happened… I only meant to have ONE!). All kept here at home. Plus a couple of friends’ horses. The eponymous Sky King is pretty much the main guy around here. Although he doesn’t compete any more due to undiagnosed soundness issues, he’s still my horse of a lifetime. I ride competitively in ride n tie, ctr, set speed, and endurance (all distance riding sports). I’m an accredited lay veterinary judge, and the webmaster for the Ontario Competitive Trail Riding Association. I work at a Thoroughbred farm just down the road. Mostly taking care of broodmares and babies. Lovely job. The babies are endlessly entertaining. Also do a lot of re-homing of both Standardbreds and Thoroughbreds as they come off the track. Hi! I really like your blog (I love horses!) and was wondering if you would put me on your blogroll. I’ve put you on mine. 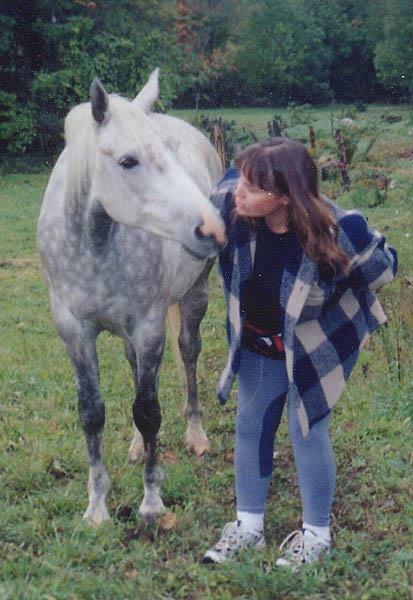 Keep your love for writing and horses! I love reading your blog! 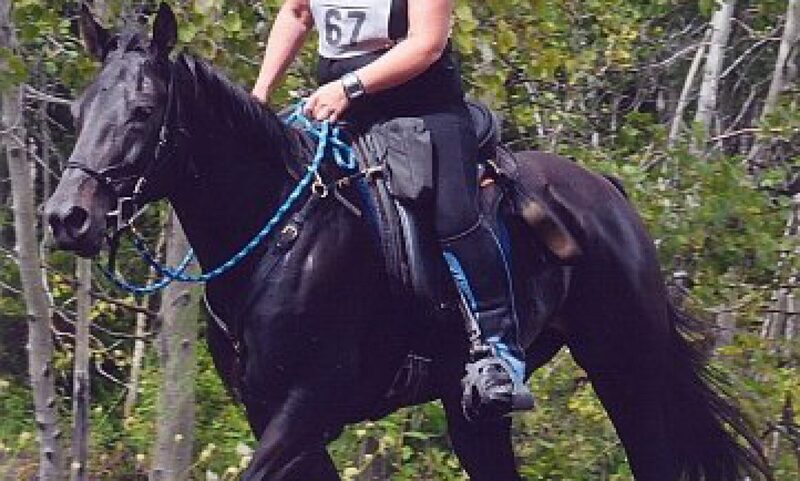 I have a 10 year old standardbred mare in Stouffville, Ontario and I’m dying to do some endurance races with her! I hope you are still blogging. I see that the most recent ones are last year…. Keep blogging!